I’ve been a tad stressed out lately and I find that whenever I cook it’s a stress reliever. I’ve been cooking a lot lately. Here are a couple of the recipes I’ve made lately. > Preheat oven to 350 degrees F (175 degrees C). > In a 12 inch skillet over medium heat, cook and stir the garlic and white parts of the green onions in canola oil until tender. > Mix in shredded chicken, salt and pepper. Toss until well coated with oil. > Stir in the salsa. > Arrange tortilla chips on a large baking sheet. > Spoon the chicken mixture over tortilla chips. > Top with Cheddar/Monterey Jack cheese blend and tomato. > Bake in the preheated oven 10 minutes, or until cheese has melted. > Remove from heat and sprinkle with green onion tops before serving. ** TIP: Heat the chips for 5 minutes before cooking the nachos to avoid sogginess. Can also add jalapenos, fat free sour cream and taco seasoning to chicken mixture. 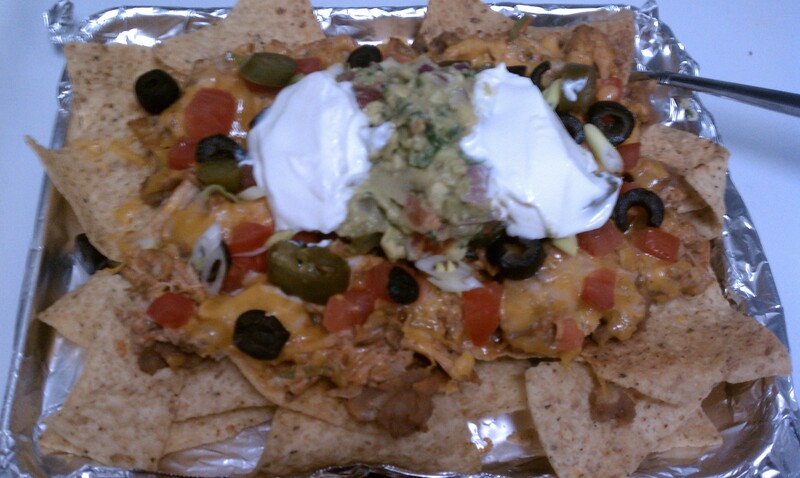 I add olives, sour cream, jalapenos, and guacamole on top of the nachos after it comes out of the oven. My husband LOVES when I make these randomly or for game day. They taste like the chicken nachos at Taco Bell… actually even better. I actually made a smaller portion that what is called for (I believe the version above calls for a serving size of 6). I didn’t want to make the full portion as I made sliders earlier for the 10am games. Of course with Hawaiian bread. It plays up that sweet and salty feel. Potato Rolls are awesome with sliders too. 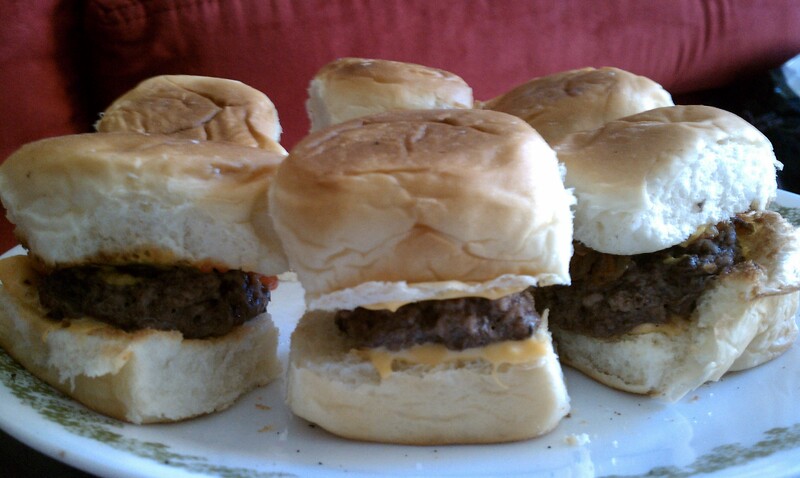 I don’t have a recipe for sliders. Just get a some good ground beef (Sirloin or Chuck) with a good fat content (80-20). Make them into mini patties and season with salt and pepper on both sides and grill or place on the griddle. Toast up the bread. Ketchup and mustard and either pickles or caramelized onions. YUMMY! Don’t forget a nice cold beer with that! Last week you might’ve seen my farmers market buys. I bought some figs which ended up molding (I know gross) after two days sitting out, so I had to throw them out. I did however still have butternut squash and made this. 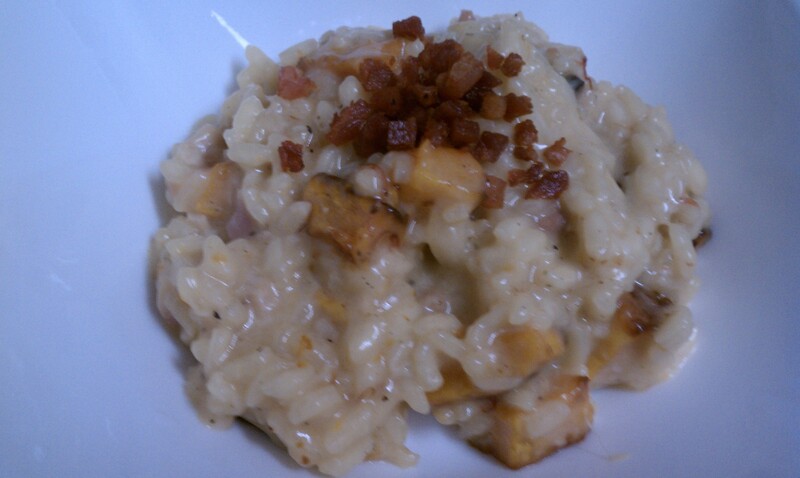 For some reason my risotto ended up being salty, probably because I used the powdered stock instead of low sodium stock in a box or homemade risotto. But it was still pretty tasty. I also crisped up some extra pancetta and put it over the top for texture. Keep posted for a couple more easy peasy recipes I’ve whipped up. As well as a DIY.